On West Virginia Morning, Glynis Board reports from Buckhannon where a meeting was held last night about a proposed natural gas pipeline. And Jessica Lilly profiles the new president of Concord University who will be inaugurated this weekend. 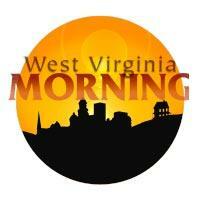 Beth Vorhees hosts West Virginia Morning Thursday, September 18, 2014. The Nelson County Board of Supervisors has gone on record as opposing a proposed $5 billion natural gas pipeline. The News & Advance reports that the board voted 3-2 Tuesday to approve a resolution opposing the Atlantic Coast Pipeline. Dominion Resources officially announced a new partnership Tuesday that will pump billions of cubic feet of natural gas a day out of West Virginia. That is if a federal regulatory commission approves the project. The nearly $5 billion project has Dominion Resources teaming up with North Carolina’s Duke Energy and Piedmont Natural Gas as well as Atlanta-based AGL Resources to lay 550 miles of pipeline.